You can’t miss the crowds. 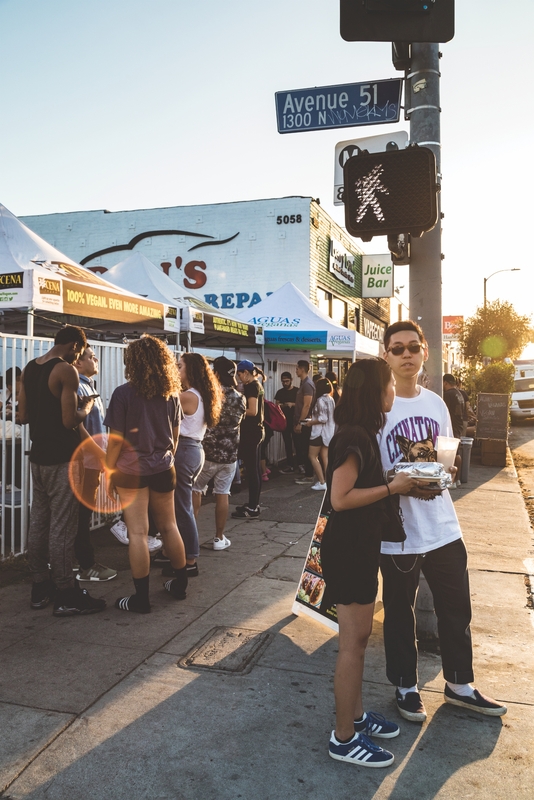 Around dusk most evenings, young Angelenos start to spill from bars, cafés, and shops along the main drag of York Boulevard in Highland Park, queuing up at street food vendors scattered along the sidewalks. Between local spots like Donut Friend and Block Party, taqueros serve sizzling asada under glowing string lights. Other stands offer rich stewed moles or hefty nacho boats painted with chipotle crema. Varied as it appears, the food here has one thing in common: It’s all vegan. L.A. has long been an epicenter for both meatless options and Latino cuisine, but mixing the two? Not so much. Yet what began as a handful of pop-ups in Highland Park over the past few years has grown into a grassroots Latino movement, one focused on accessible plant-based cooking. When she became vegan four years ago, Carol Paniagua of Vegatinos couldn’t find plant-based Guatemalan food anywhere, so she decided to make her own: banana leaf-wrapped tamales (lard-free) and two-fisted tortas stuffed with beans and pico de gallo. At Señoreata, chef Evanice Holz’s ode to Cuba, you’ll find ropa vieja—the country’s national dish—made from jackfruit, and flaky pastelitos de picadillo (sin carne, of course). 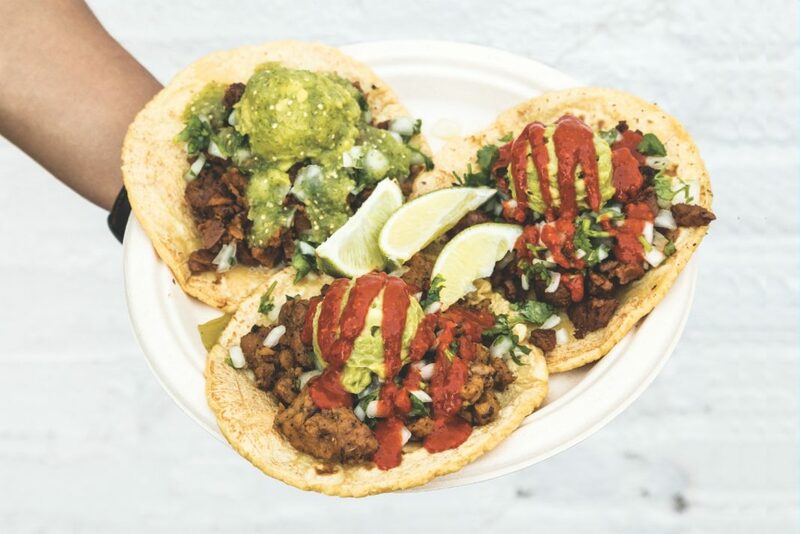 The shifting tastes are a welcome change for vendors like David and Delmy Ramirez, who operate a Salvadorean pupusa cart that offers fillings like stewed frijoles, squash blossoms, and Follow Your Heart brand vegan cheese. The couple originally sold more traditional chicharrón-filled pupusas. “But on this street, there’s so many vegan people,” David Ramirez says, “those flavors didn’t sell.” Following in the footsteps of vendors like Cena Vegan, they decided to roll out an entirely meat-free menu. These days, they can’t imagine going back. The Single Best Vegetarian Sandwich in L.A.